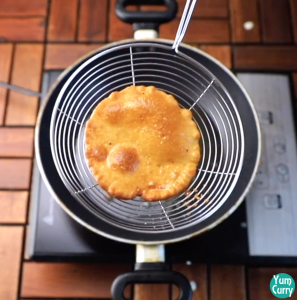 Malpua is a deep fried pan cake. Traditionally it is prepared by smooth batter of yogurt, flour and fennel seeds later fried in ghee/oil and glazed in sugar syrup. Malpua taste amazing and generally serve hot. In this recipe I will show you how to prepare delicious malpua at home with easily available ingredient step by step with photos. 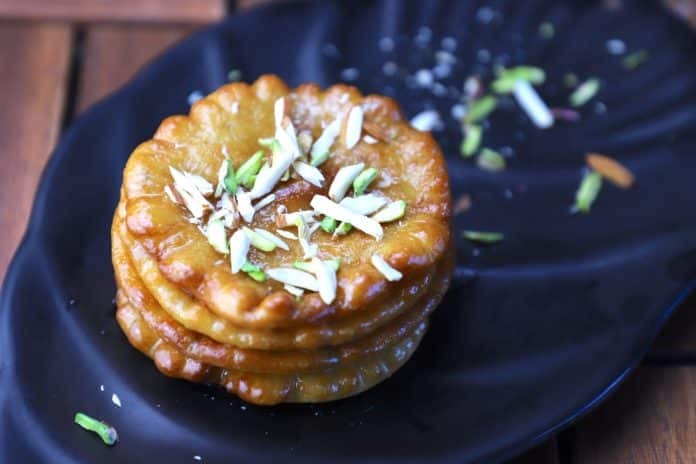 Malpua is delicious dessert from Indian subcontinent, popular in Odisha(Indian state). It is one of the chhappan bhog( 56 kind of food prepared and offered) of lord jaganath. Malpua is also famous dish during the muslim holy month ramadan, families prepared malpua and it is consume during iftar. Malpua is also famous in some of the region of western, eastern and northern state. There have been a many variation of this delicious dish and each region has a different way of making it. In some area malpua batter is prepared by adding mashed ripe banana along with flour, coconut and milk. 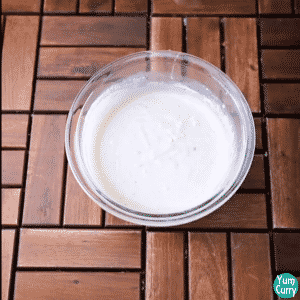 In northern India it doesn’t contain any fruit and simply prepared with milk, flour, rava and curd. Bihari version of malpua did not dip into the sugar syrup instead sugar directly added to the batter. Today I am preparing malpua with all purpose flour, rava and condensed milk, for flavour I added cardamom and fennel seeds. 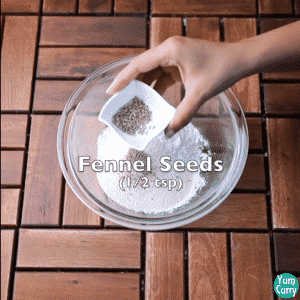 This very easy and simple recipe to make. First prepare batter then fry malpua and dunked them in to the sugar syrup. 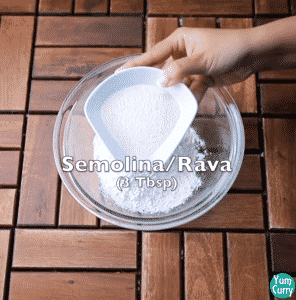 For preparing batter add all purpose flour, rava, fennel seed, cardamom powder and condensed milk in a mixing bowl. 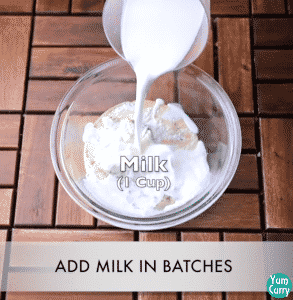 Add milk and make moderately thin batter. Leave it for 20 minutes. 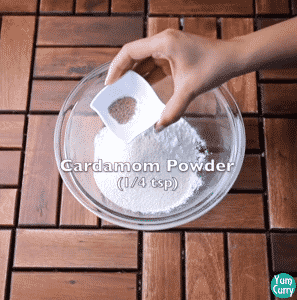 Make sugar syrup by using sugar, water and cardamom. 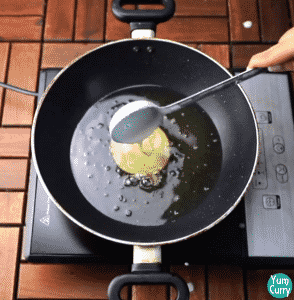 For frying malpua, add ghee in a deep pan. Pour batter into the hot oil and fry on low medium heat. When it cooked well from both side dip malpua into the hot sugar syrup. Generally malpuas serve hot, these are fried dessert so you can keep them for 2-3 days in to the refrigerator, but they taste best when serve hot and freshly made. Batter consistency is important we need moderately thin batter for malpua. 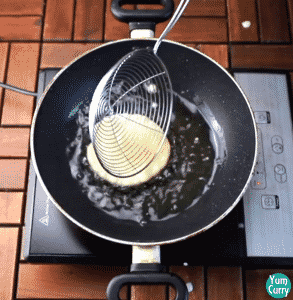 Fry malpua in low medium heat, so it can cook well from inside out. Dip hot malpua in hot sugar so it can absorb sugar syrup nicely. Do not make thick or heavy sugar syrup, when sugar dissolve completely, bring it to boil and switch of the heat immediately. for more dessert recipe please click on name- besan barfi, instant peda, milk cake, mysore pak, chandrakala, gajar halwa, coconut barfi, khajur barfi. 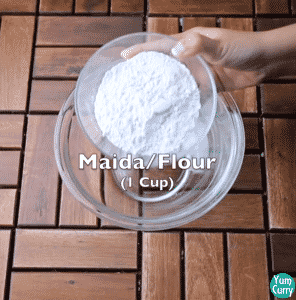 For making malpua batter, take all purpose flour and semolina(raw/sooji) in a mixing bowl. Add cardamom powder, fennel seeds and condensed milk. We need thin batter for malpua, so add milk in 2-3 parts. 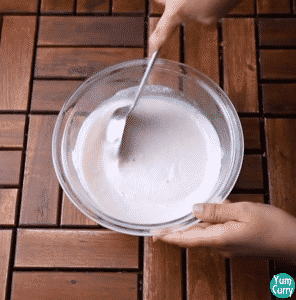 For lamp free batter add little milk at a time. Mix all ingredient with spatula, add more milk until you get desired consistency batter. Once you get smooth and moderately thin batter, cover and leave it for 15-20 minutes. 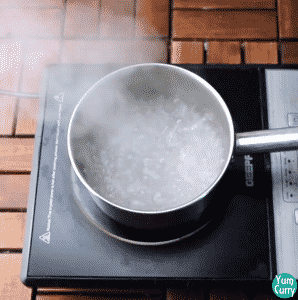 Heat a pan add 1/2 cup of water. 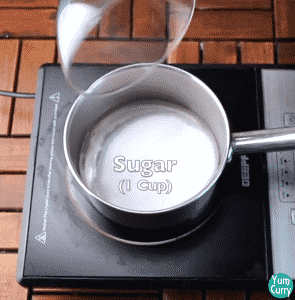 Add 1 cup of sugar and stir until it completely dissolve. 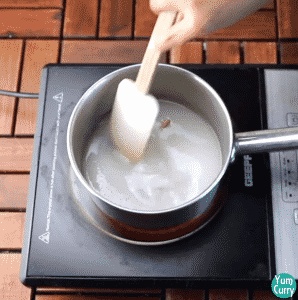 Do not allow any thread formation in sugar syrup( For malpua we need moderately thin syrup). 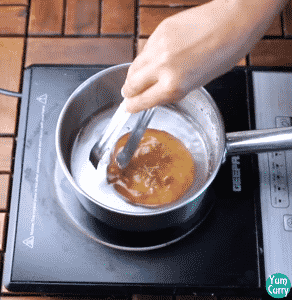 When sugar dissolve bring it to boil and immediately switch off the heat. For making malpua, heat oil/ghee in to a deep pan. Take a serving spoon fill with batter and pour batter in to the hot oil on low heat. To give that perfect round shape move your hand in circular motion and pour batter in to the hot oil(make small size malpua). 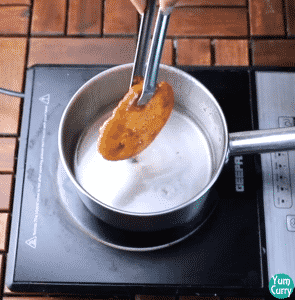 Fry malpua on medium heat, it will automatically come on the surface. Gently press sides of malpua and rotate or flip it occasionally. 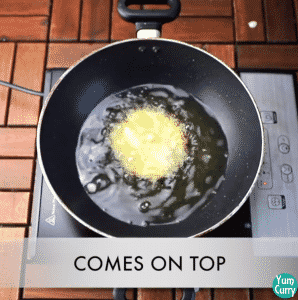 When it cook perfectly from both side and turn golden brown, strain and take it out from the oil/ghee. After removing it from oil/ghee immediately drop hot malpua in hot sugar syrup. Flip it 2-3 times so it can be coated and soak sugar syrup nicely. Take it out from the sugar syrup and garnish with some chopped pistachio and almonds. Malpua is ready, serve hot. We need moderately thin batter for malpua, so add milk in 2-3 parts. For lamp free batter add little milk at a time. 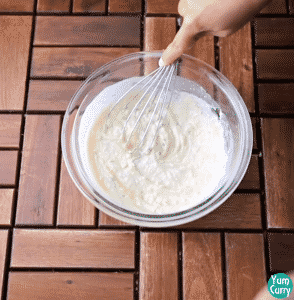 Mix all ingredient with whisk, add more milk until you get desired consistency batter. Add 1 cup of sugar and one green cardamom. 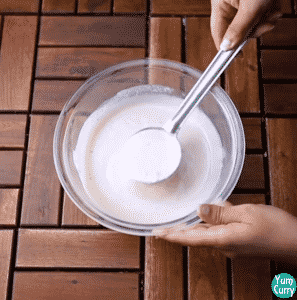 Stir until it completely dissolve. 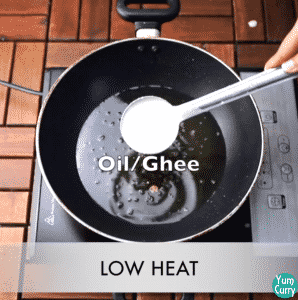 For making malpua, heat oil/ghee in to a deep pan. Give a good mix to batter. I hope you like this recipe. If you give it a try, come back and let us know how it turn out.